The culinary team at The Trident Hyderabad comes up with niche food festivals at regular intervals. 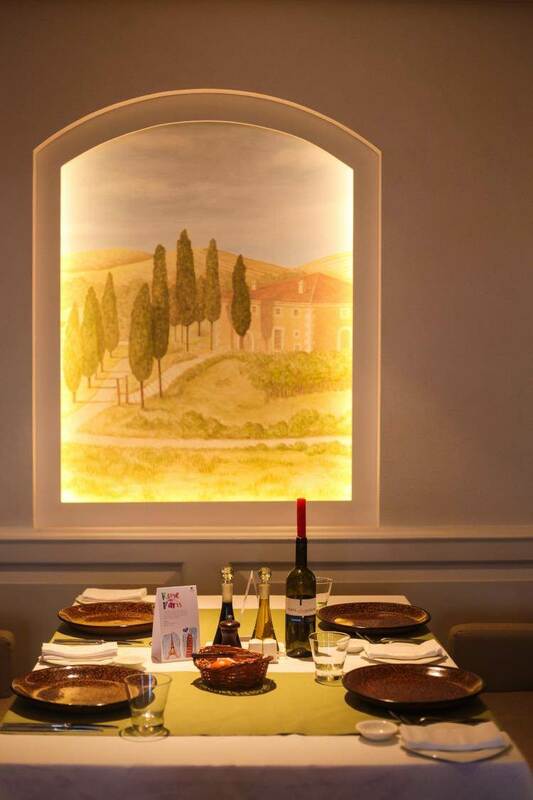 Their latest promotion at Tuscany, their Italian restaurant, is called “Rome meets Paris” presenting an array of delicacies from the famed French and Italian cuisines. 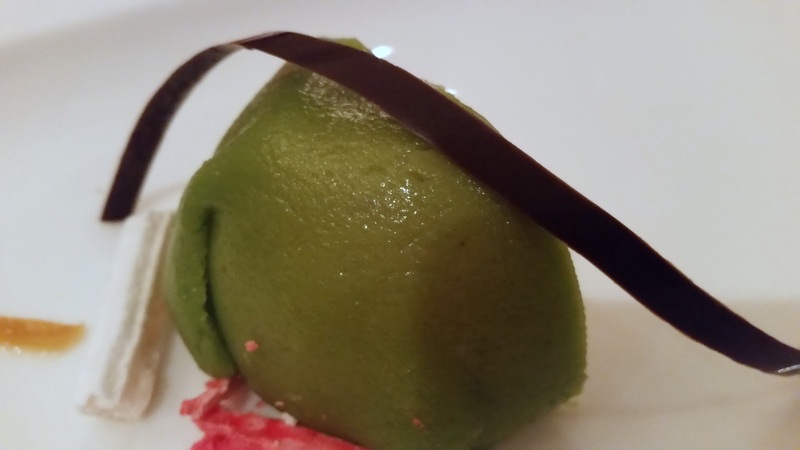 Whereas Hyderabad has quite a few restaurants offering Italian food, both in the fine dine and casual dine category, there are not many offering French food. Bouchon at Jubilee Hills, which is the only one I can remember, unfortunately shut down within a year. So, when I was invited for this promotion I was keener about the French offerings from Chef Manik’s team. The festival has a specially curated a-la-carte menu. 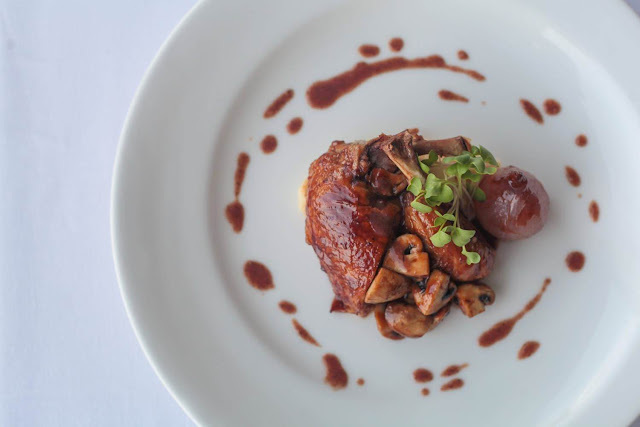 Whereas the Italian offerings have a lot of variations across regions and rely on the freshness of ingredients, the French cuisine boasts of subtlety in taste and flavour. In this promotion, there is no attempt to offer a fusion of the two cuisines; instead, each is presented in its own glory. Our sampling journey started with two salads – one from each cuisine. 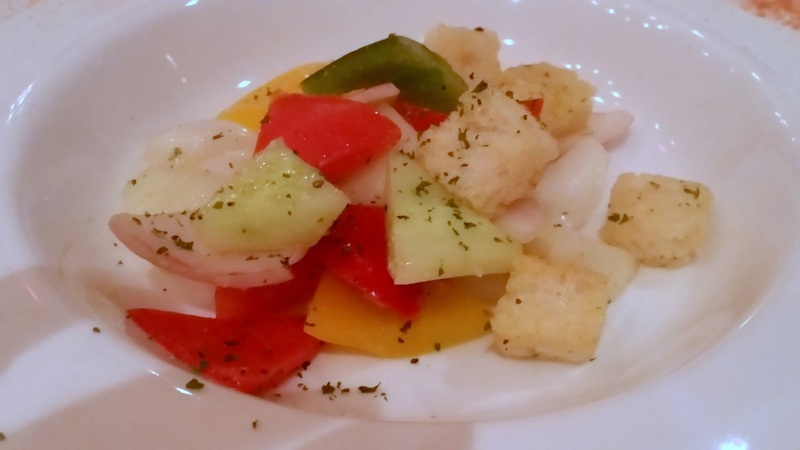 Panzanella was a Tuscan-style salad with diced tomatoes, cucumber, bell pepper and bread in a simple tangy dressing. Salad Nicoise was the French entrant in this category. 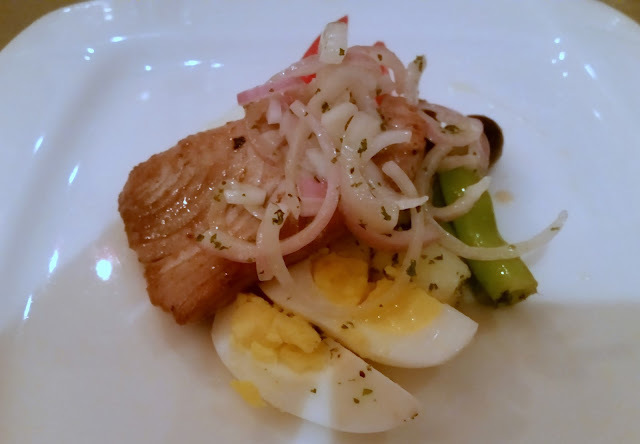 A salad using Nicoise olives, boiled eggs and tuna in a simple preparation, was a personal favourite. The highlight was the tuna, which was perfectly done. The Italian Ribollata was a rustic Tuscan broth made with bread and vegetables. Executive Sous Chef Prafull Aina, who is the person behind this festival, told us that this recipe is popular in Italy to use up leftover bread. This was a thicker version of the Minestrone, almost like a broth. Chilled Vichyssoise, the creamy French soup was one of the best dishes of the promotion. A cold soup of potato and leek, this was a perfect summer recipe. Among the main courses, Lamb Navarin stood out. 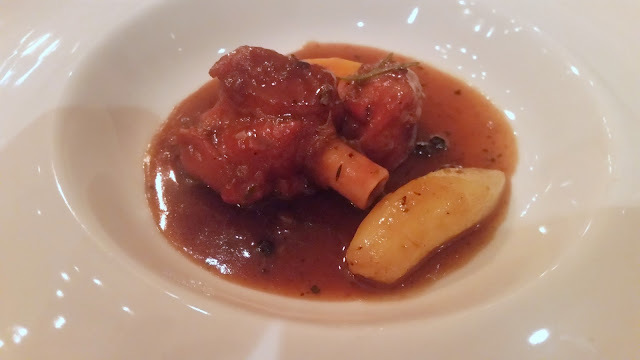 A delicious French lamb and vegetable preparation, it was served with herbed rice. I overheard someone commenting in jest that it looked similar to Hyderabadi Nihari. The similarity does not end there, for this is a slow-cooked dish too. Coq-Au-Vin was the other French main course, a red wine braised chicken delicacy served with mushrooms and onions. The chicken had soaked in the wine, making it soft and succulent. Ratatouille was possibly the only dish on the menu which is popular in not just France and Italy, but all over Europe. 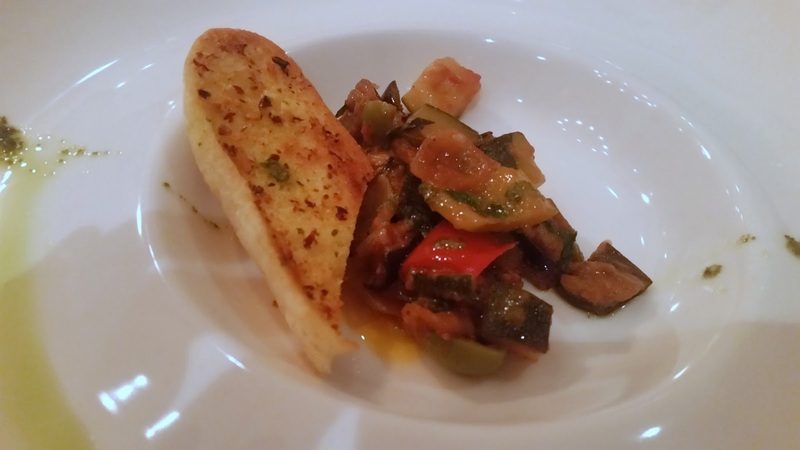 This was essentially sautéed vegetables like eggplant, bell pepper and onions served with garlic bread. The desserts stole the show. 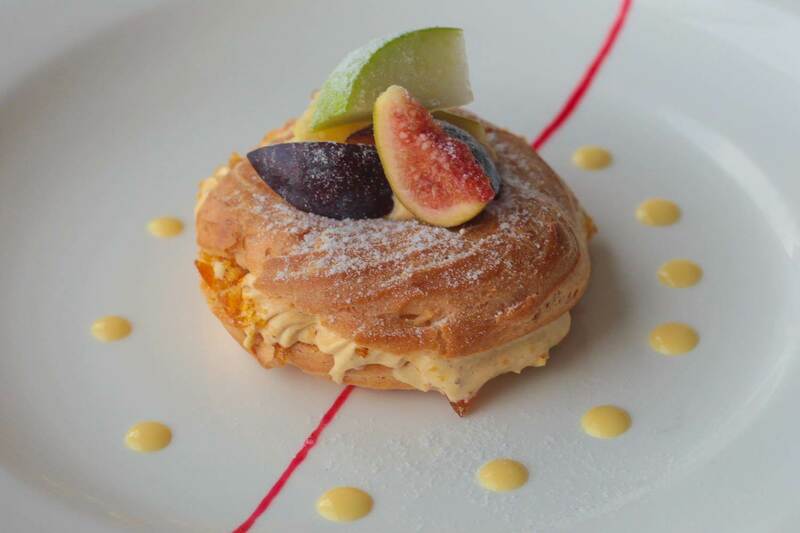 I had been hearing about the exotic Paris Brest, a choux pastry stuffed with cream and fruits, from my friends who visited the festival earlier. The dessert had a topping of fresh fruits and the combination of the pastry with the fruits and cream inside was indeed heavenly. Cassata with Raspberry Coulis was the other dessert, a classic Sicilian preparation. This is something not to be missed either. Inside the almond marzipan cover, it had strawberry ice cream along with fruit and nuts. A very interesting promotion indeed. 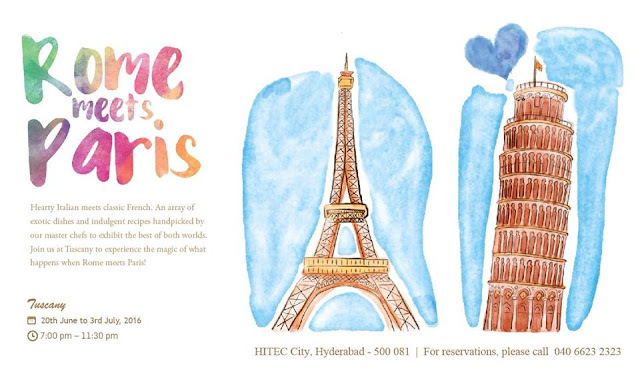 Trying out the French delicacies reinforced my wish that we must see a pure-play French restaurant in Hyderabad soon. But in its absence, thanks to the Tuscany team for giving us a taste of the cuisine. The festival is a-la-carte and on at Tuscany until 3rd July only for dinner.